Character-Driven or Plot Driven Narrative? Stories make me happy. This isn’t an overstatement. From sitting around the dinner table with family and listening to personal tales, or picking up a book and reading a gripping tale, I’m transported into the narrative, soaking up details and experience. Over the course of the last year, I read fifty books. These books ranged from memoirs like Trevor Noah’s Born a Crime, Maya Angelou’s essays in Letters to My Daughter and novels of varying genres from adult romance, thriller and suspense to young adult fantasy, dystopia, and contemporary. Stories make me happy. 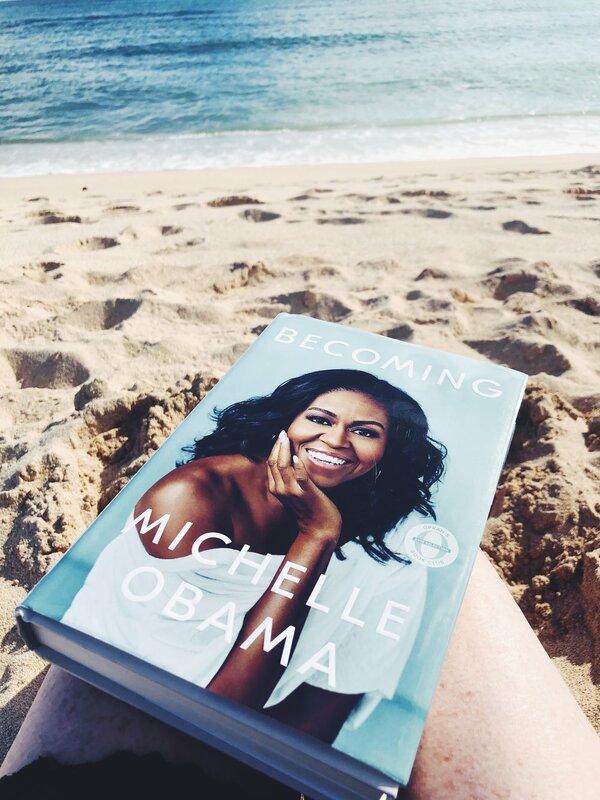 Reading at the beach is even better! As a writer - early on - as I was pushing open different kinds of writing doors to figure out what kind of writer I was, I didn’t think much about character. This isn’t because I had a belief that character wasn’t important. No. I knew characters were essential to the whole of a narrative. It was just that in my beginning level of constructing story, I focused on the plot to move characters through a story. The plot: a series of actions and reactions that carry characters from the beginning to the end of the story. 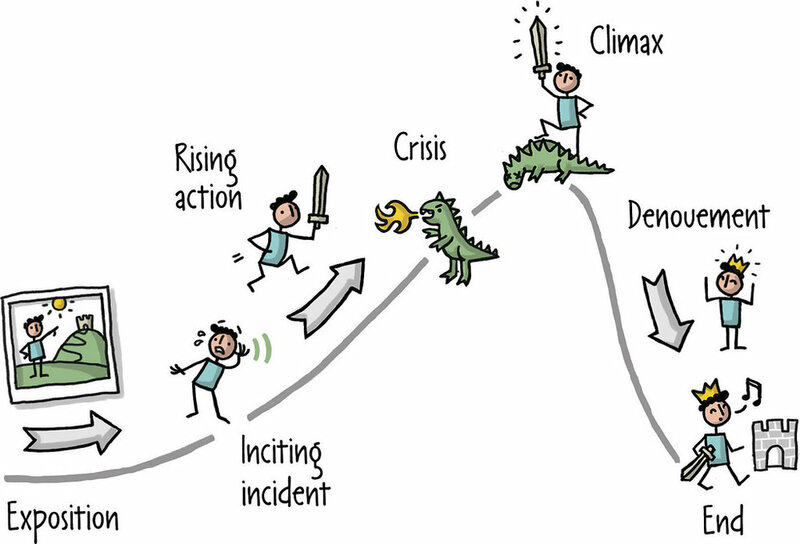 We’ve all studied it: Introduction, rising action, turning point, falling action, conclusion. First this happened, and then this and then this. I think many of us tell stories this way. As we recount a moment in our day, or for example, as my son recounted a dream he’d had to me. We describe the narrative as a series of events moved and dictated by the movement of our experience as characters in the story. This recounting is an example of the plot-driven narrative. A story moved by action from beginning to end. Then, some of our stories investigate experience further. The narrative shifts into the thoughts and feelings associated with certain outcomes, and then we explore how those reflections inspired further action. When a story is driven by the internal experience of a character who responds to events taking them from one moment to the next reflecting on growth. 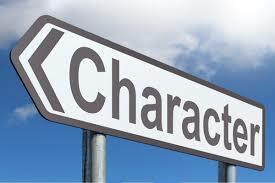 This development of character motivation and internal exploration in response to action is a character-driven story. As I’ve developed as a writer (mostly by studying story after story after story, and then developing my own relationship to the craft of writing) I have moved toward a character-driven story. Looking at Swimming Sideways, The Ugly Truth and the soon-to-be published The Bones of Who We Are, I would describe them as character-driven novels in which the plot is centered on character growth rather than siphoned into a series of events. This isn’t to say that one is better than the other. Both are embodied in well written stories. Both plot-driven and character-driven are enjoyable if written well. Though I would add the caveat that even plot-driven stories must have believable and developed characters. This is done, I think, by working to make characters round and dynamic versus flat and static. The difference? A round character is developed and complex rather than one-dimensional like a cardboard cut-out, and a dynamic character showcases a change in perspective whether this is through action, interaction, or internal development in contrast to a character who remains constant all the way through a story. Consider your favorite stories. Would you say they were plot-driven or character driven? Feel free to comment and discuss.